Hair transplant surgery has helped millions of depressed individuals facing hair loss to have a fuller thicker growth in the balding areas of the head and body. 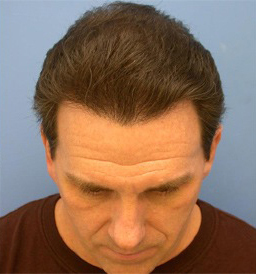 Technique: During hair transplant surgery, hair from the back of the head (resistant to balding) are relocated to the balding areas. Donor tissue is then processed into follicular unit grafts by specialised technicians in lab conditions. tiny incisions are made in the balding area mimicking nature. About 3000 processed grafts are then placed into these incisions. Over the years it was discovered that hair grows in natural groups, the so-called follicular units. This discovery led to the introduction of Follicular Unit Transplantation, or FUT for short. FUT quickly replaced mini-/micro-graft transplantation, becoming the method of choice for implanting donor hairs into larger-sized scalp areas all in one go. 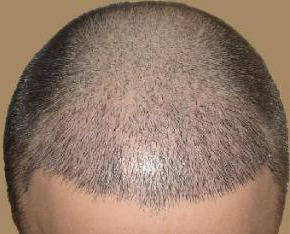 Follicular Unit extraction or FUE as it is known is a relatively new technique of extracting grafts individually from the scalp. In this type of procedure a small round punch generally less than 1.00 mm in diameter is used to make a small circular incision around the follicular unit. These follicular units are then individually plucked from the scalp. This new procedure negates the need for a linear incision at the back and sides of the scalp with the inevitable scar that is produced. 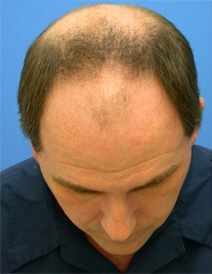 In this most recent and popular procedure, grafts are transplanted from the back of the head in groups of one to four hair follicles with the help of a device that assists perfect graft yield. Since it mimics how human hair actually grows, the procedures delivers results that look more natural. 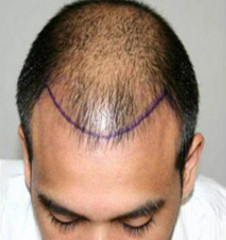 Another advantage of this procedure is that it does not involve any 'Human Touch' as it involves suction assisted harvesting of grafts which ensures that no hair root is cut or damaged in the process and ensures maximum graft yield.Hair transplant surgery with follicular hair transplants takes 3 to 5 hours to perform and the patient leaves the Clinic without any bandage on his/her head. One can also wash the transplanted hair carefully after 3 days. Generally performed as a day care procedure under local anaesthesia with or without sedation. General anaesthesia may be recommended. 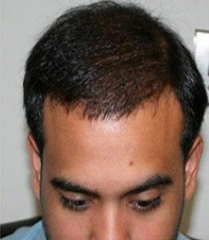 Complements: Mesotherapy along with hair transplant will lead to best results. 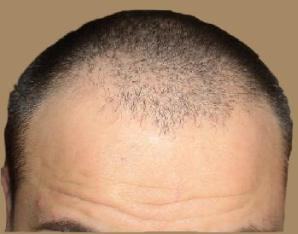 A better fuller head can be expected with supportive natural growth. Follicular units are directly harvested from the donor area through a Robotic device and implanted to the receptor area. Follicular units are taken from the donor area and implanted on to the recipient area by highly qualified doctors and technicians. A strip is being harvested from the back of the scalp, from which the follicular units are extracted out and then implanted to the receptor area. Suction assisted harvesting of individual follicles is carried out through a Robotic device. Leaves a very fine permanent linear scar post procedure of the size of a thread. Manual extraction increases the time of procedure i.e. 7-8 hrs. One can resume day-to-day activities from the very next day.